SRINAGAR — His legal troubles having gone away for the time being, superstar Salman Khan has begun filming the final leg of his upcoming Eid release 'Bajrangi Bhaijaan' here. 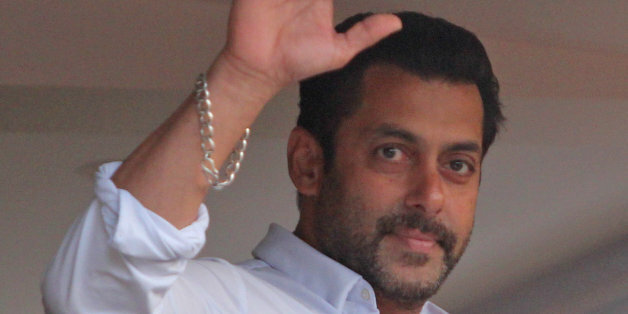 Salman, 49, who was sentenced to five years imprisonment by a Mumbai sessions court in the 2002 hit-and-run case which was later suspended by the Bombay High Court, will shoot in the Valley for five days. Director Kabir Khan posted about the same on his Twitter page. The action-packed romantic drama stars Kareena Kapoor besides Salman. The duo has earlier worked in 'Bodyguard', 'Kyon Ki' and 'Main Aur Mrs Khanna'. The principal photography of 'Bajrangi Bhaijaan' began on November 3 last year in Delhi. They shot the film with school students in Rajasthan's Jhunjhunu district. 'Bajrangi Bhaijaan' marks the second outing of Salman and Kabir after the 2012 superhit 'Ek Tha Tiger'. After wrapping up his Kashmir shooting, the 'Kick' star is expected to be back on the sets of Sooraj R Barjatya's 'Prem Ratan Dhan Payo' with Sonam Kapoor.